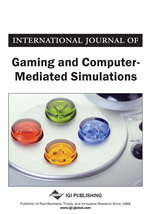 In this paper, computer gaming approaches are introduced as a viable means to structure the interaction of a product development team during concept generation. During concept generation, teams gather large amounts of information before generating new ideas and concepts. Digital technologies mean that relevant information can be sourced faster than ever, but this does not necessarily migrate into the activity of concept creation. It is suggested that cues from computer games can help integrate information as well as individuals more effectively, resulting in better conceptual output. A range of game types are evaluated with a view to their possible utilization in support of concept design. Two scenarios for the implementation of gaming methods are proposed, and one refined scenario identified as having potential for further development. In product development, concept design is the process undertaken when trying to develop solutions for a given problem. This encompasses the formation of design requirements, the generation of ideas, and the selection of an embodied concept. Associated activities are often undertaken by groups in a collaborative setting, and despite the fact this is typically a fuzzy process based around sketch work and discussion, a number of formal tools and techniques to support the process (Cross, 1994; French, 1985; Pahl & Beitz, 1995; Pugh, 1991; Ulrich & Eppinger, 1995). The most popular approach to concept generation in industry today is brainstorming. Popularized by Osborn (1953) in the 1950s, brainstorming consists of a group of people working together in a non-critical environment to generate a high number of ideas. Although there are many variations, there is generally a facilitator, fixed timescale and whiteboard or appropriate writing implements. Organizations such as IDEO (Kelley, 2006) have made this approach central to their corporate culture, and such is its popularity brainstorming is often used as shorthand for any meeting where groups try to develop some ideas. This can be to its detriment when groups undertake the activity informally and half-heartedly with disappointing results. Other criticisms include that it can be personality-driven, with the loudest participants dominating, that the quality of ideas can be suffer given the pressure for quantity, and the lack of opportunity to develop idea threads within a session can be frustrating. In order to address these shortcomings, a number of progressive methods (Shah, Kulkarni, & Vargas-Hernandez, 2000) have emerged that provide a degree of structure for teams while still allowing participants to develop their own ideas. An example of a progressive design method is the 6-3-5 Method (Rohrbach, 1969). Also known as Brainwriting was developed as an alternative to brainstorming. The name reflects the format, in that a team of 6 participants sketch 3 ideas every 5 minutes. After each five minute round, the concepts are passed round to the adjacent participant. The team is then able to draw on others’ ideas for inspiration as they wish. If all participants complete the session properly, a 30 minute session should produce 108 ideas. The focus of the technique is therefore on quantity – the results of the session would then be used for further concept development and evaluation. A sample of part of a 6-3-5 session is shown in Figure 1. While progressive methods go some way towards structuring concept design work while allowing creative thinking, a major shortcoming is the lack of information use as ideas are being generated. Access to appropriate information, principles, exemplars and context have been shown to be important in creating well-substantiated concepts and acting as stimuli for discussion (Benami & Jin, 2002; Chuang & Chen, 2008). The digitization of such information has many advantages: it can be conveniently accessed, revised and edited easily, stored with minimal physical overheads, and communicated instantly across distance. As advances in computer hardware and software continue apace, and with the exponential growth of the Internet meaning previously arcane information is now readily available, the challenge is to find effective approaches to presenting and using digital information for concept design. While more logical methods such as TRIZ (Altshuller, Altov, & Shulyak, 1994; Rantanen & Domb, 2002) make use of past solutions and prior knowledge when tackling design problems. They are also highly prescriptive in how a problem should be approached. This paper therefore aims to develop theoretical frameworks for improved use of information in progressive concept design approaches by utilizing characteristics of a field where highly engaging and effective information use are essential: computer games.